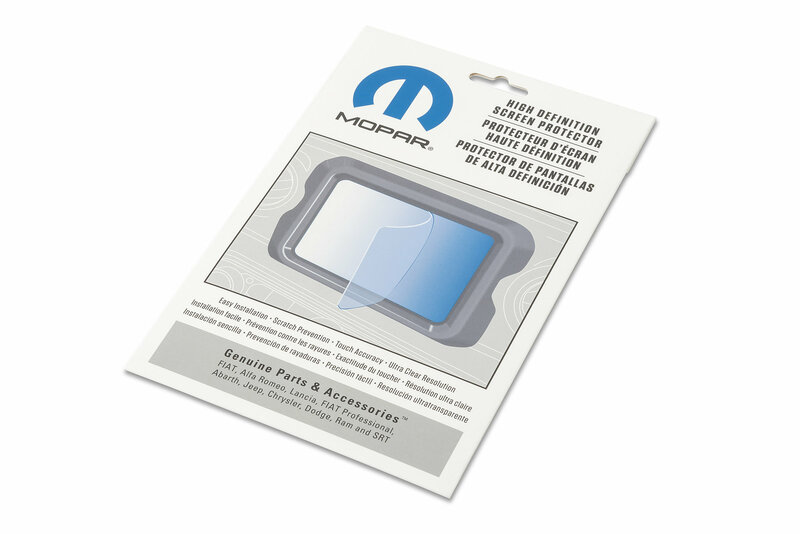 The media center screen protector by Mopar is designed to protect the Wrangler JL 8.4" screen from scratches while repelling dust and slowing signs of daily wear. 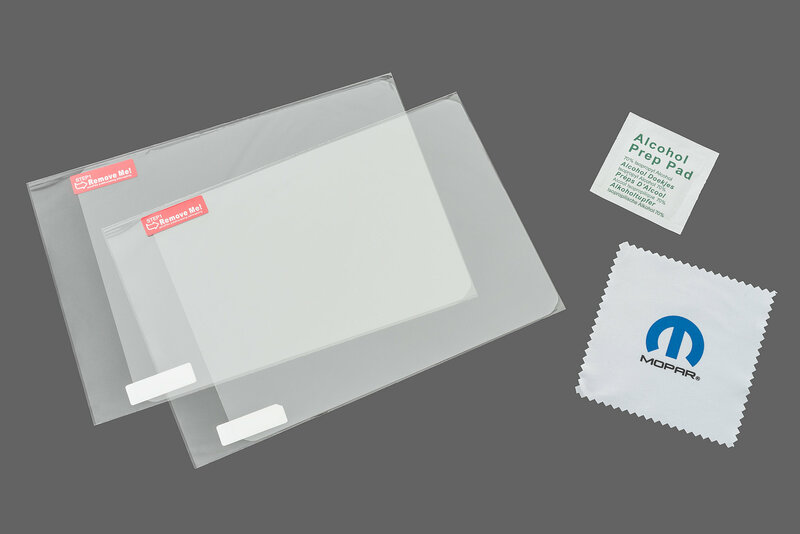 The screen protector has a smooth feel that will not hinder the accuracy of the touch screen sensitivity. 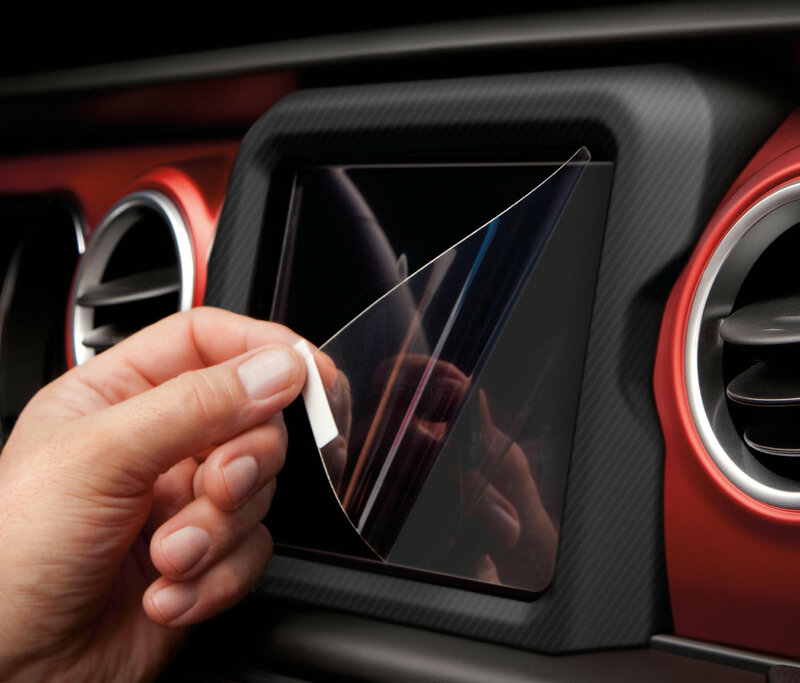 The anti-glare screen will provide increased clarity, and is removable without damaging the screen. 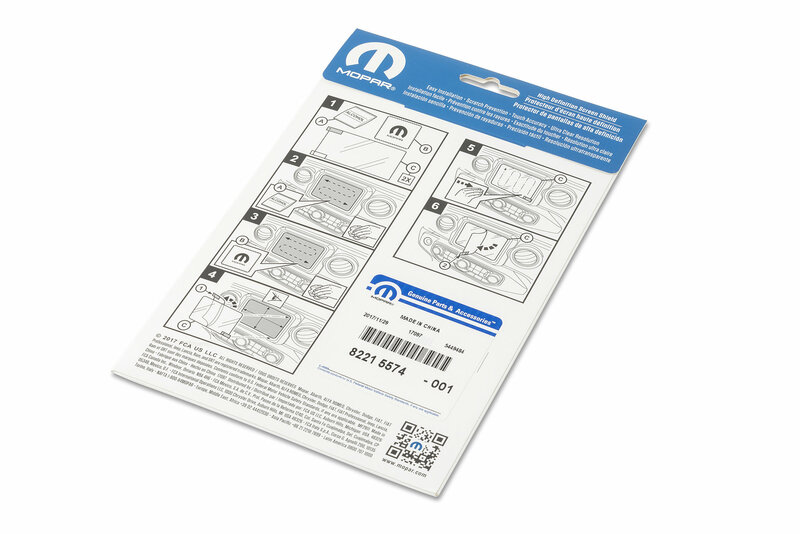 Installs easily without any tools or modifications to the factory unit. My kit actually came with two screens. 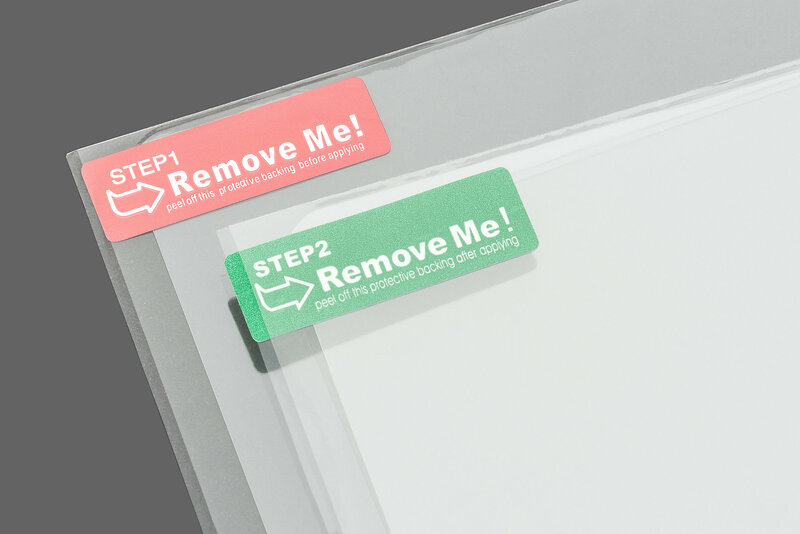 It was fairly simple to apply and then I used a credit card to smooth it over and push out any air bubbles. I wouldn't say this an absolute necessity, but the additional protection does feel nice! Ha. I bought this to put me into free shipping territory, but I'm surprisingly satisfied with it. In addition to the extra layer of "assurance" it offers, it makes the screen glossy and seem clearer. It's also changes the feel, in a good way. A bit more tacky and less squishy. Only thing is when installing, try to keep ahold of the outer tab. Otherwise, it's a little tough to grab and pull off.